I’ve written a great deal this week about all of the wonderful activities and gifts that we participated in and received during our Jet Adventure trip. The resort, LEGO and JetBlue definitely pulled out all the stops in terms of showing us a good time. But my favorite (and less favorite) things about the experience had less to do with the stuff we were given and more to do with the place itself. So what was tops on my list? I’ve stayed in few places where the staff was more accommodating, warm, professional, and just genuinely nice, especially to children. 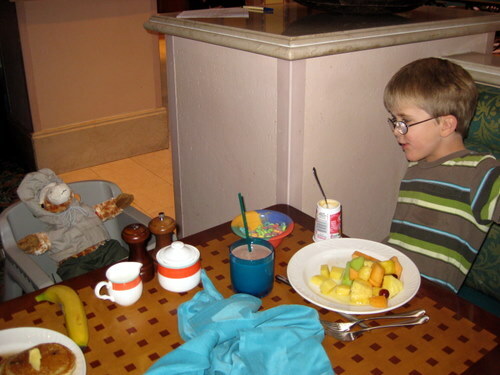 For example, on the first morning of our stay Teddy and went to the buffet breakfast in The Marketplace. He was ravenously hungry, so I got his food and then went back to wait for my made-to-order omelet. When I returned to our table, I discovered no fewer than six of the wait people in the restaurant standing around our table talking to Teddy and laughing, just keeping an eye on the child who had been left to his own devices. The hostess greeted him by name for the remainder of our stay and our waiter made sure when we left that morning that Teddy had an extra box of Froot Loops to go. Everyone from our tour guide at The Dig to the woman who cleaned our room stopped to talk to Teddy. They would lean down and wait patiently for him to tell them about the sharks we’d just seen or the swim we were going to take. They would ask if we were having a good time and if we’d like to come back. When Love Giraffe accompanied us to breakfast, they got him his own high chair. 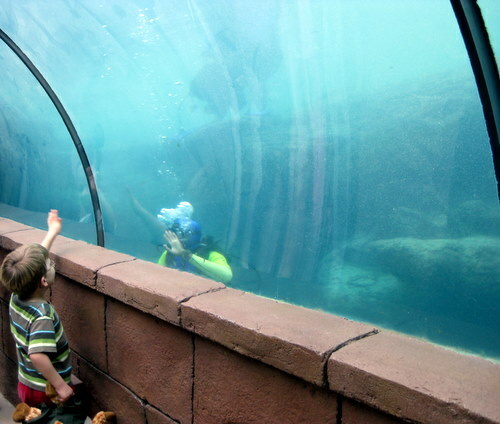 And when we saw a diver working in one of the aquariums, he smiled and waved a friendly hello. Among other programs, the resort has worked to eliminate AIDs in the Bahamas, to put swimming pools and playgrounds in local schools, and to support Junkanoo. 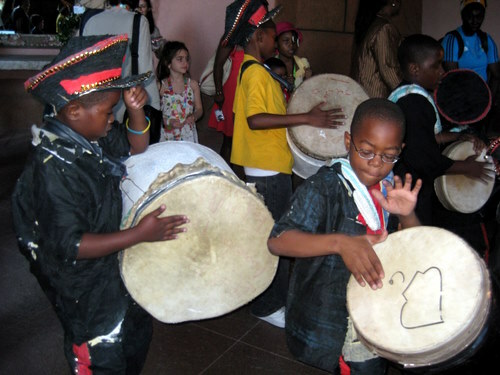 These last are dance troupes of deep cultural importantance to the Bahamians. They are similar to the Mummers, making their own costumes and performing in parades on Boxing Day and at New Years. We were in fact lucky enough to experience some Junkanoo ourselves, as it was an award-winning troupe from the Claridge Primary School in Nassau that led us from a celebratory brunch over to the opening of the AKA Club. The resort also makes sure that its employees succeed (and have a chance for advancement) through their Atlantis University program which teaches prospective and current employees everything about how to work in the tourism business. As a result, there is a clear sense of professionalism and pride among the staff. I know that some of the people on this trip felt that the resort felt cocooned and inauthentic, and certainly one obviously has to go off the grounds to see real Bahamian day-to-day life (and truly, this is to be expected no? 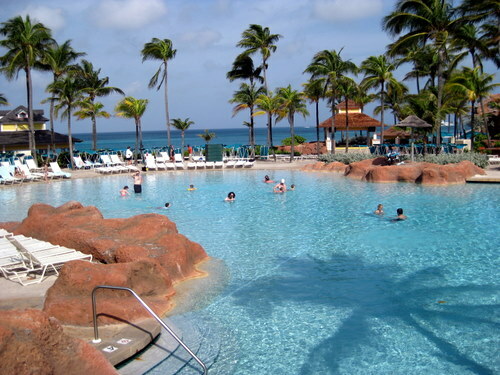 I don’t think that most people who pay to stay in a place like Atlantis are paying to visit the Bahamas per se but to rather to relax and enjoy themselves in a beautiful setting that happens to be in the Bahamas). 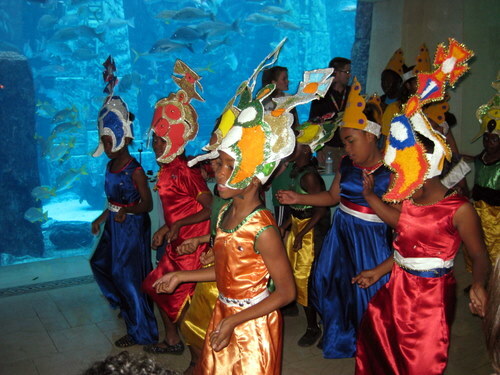 But I would argue that by hiring so many native Bahamians, Atlantis is offering guests a window to the local culture. All you have to do is stop and talk to one of the hundreds of people who work to make the resort such a comfortable and nice place to stay. 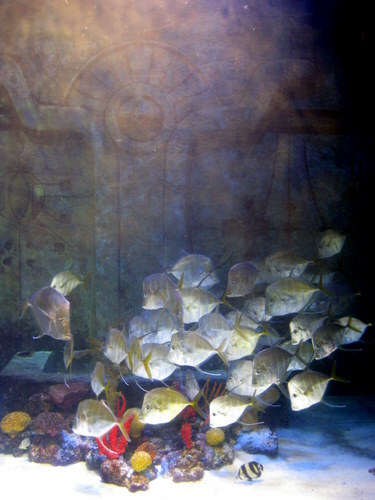 Atlantis is truly an amazing place to see all different kinds of marine life. 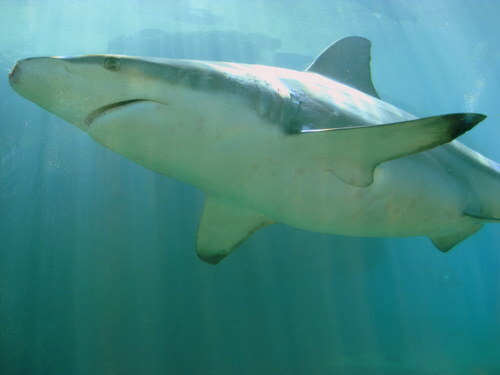 The Dig and the Dolphin Cay alone would be worth the price of a room, but they are not the only places where animals are on view – this is one of the largest human made outdoor marine habitats in the world. In Predator Cove, Teddy and marvelled at the hammerhead sharks swimming just below us as we stood on a rope bridge. Then we walked over and gaped as huge rays and blacknose sharks, and smalltooth sawfish swam over our heads in the tunnel that runs beneath. 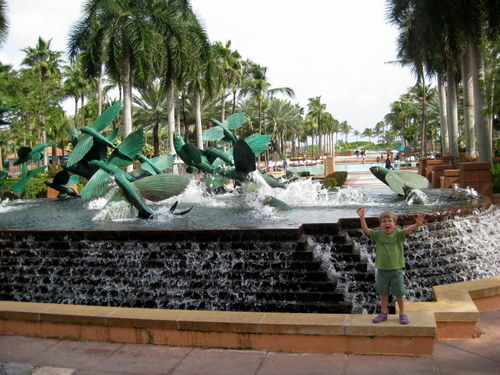 We did lots of wandering and exploring of the grounds and would periodically stumble on a special pool or lagoon set aside for a specific endangered species – sea turtles, stingrays, and spotted rays for example. Thanks to an excellent tour of The Dig on our first night there, we both learned the names of a variety of different kinds of fish as well as their habits and habitats. 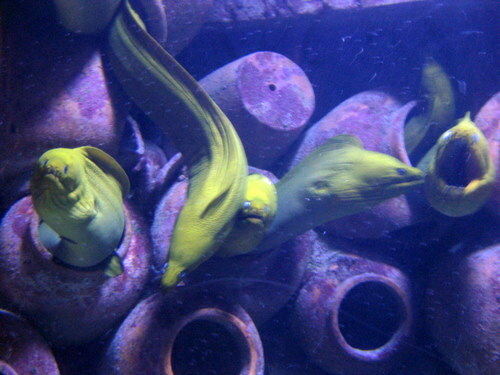 For example, these eels look green because their skin is blue and they secrete yellow mucous. They also open their mouths continually because that’s how they breathe. So if one of them happens to bite you, just wait a bit and you’ll be able to extract your hand. Atlantis is accredited by the Association of Zoos and Aquariums and has several full-time veterinarians on the staff, including one dedicated solely to the dolphins in Dolphin Cay. They offer research and education programs for students at ever age level, from the primary grades through university. Of course, how you feel about the buildings and decor is a matter of taste, tending as they do to the oversize, ornate, and over the top on both the inside and outside (although I will admit that Dale Chiluly sculptures are used to dramatic effect in several places) but the Atlantan theme is absolutely consistent throughout, which is really kind of fun. And the enormous grounds are immaculately maintained. Teddy and I wandered all over the resort and never encountered anything that wasn’t pristine and orderly. So with all that said, was there anything I liked a little bit less about Atlantis? Despite the general wow factor, there were. I’m fairly particular about food. Although we do tend to eat more junk food on the road, in general my preference is for that which is organic, fresh, handmade, and local. While on the Jet Adventure trip, we ate in several of the buffet restaurants that are intended primarily as the more affordable option for families. The buffets were attractive and abundant in the extreme. Now I may be in the minority for the clientele, but I’d rather see half the number of offerings in the buffet and have them freshly prepared and not sitting under heat lamps. And I’d like the food that looks beautiful to taste beautiful, to have flavor (this was especially true of the desserts, many of which really didn’t taste like much at all beyond sugar). And I’d like to have it not be assumed that my child needs to have pizza, hotdogs, chicken fingers, cupcakes, and ice cream at every meal. Yes, he’ll certainly eat all those things. But he’ll also eat sushi, sautéed fish, bean soup, and vegetable stir-fries – if they taste good. How do I know this? Because that’s the way he eats at home. The buffets also lacked for Bahamian and local food (I think that there may have been some, but it got lost in the vast array on offer – it certainly wasn’t clearly marked). Teddy and I did lunch one day at Bimini Road in the Marina, which purports to be a Bahamian restaurant. But the shrimp salad I had there was something that I could have gotten at TGIFridays; the same goes for Teddy’s fishsticks. It is possible to get food that’s cooked to order of course. Looking at the menus for several of the high-end restaurants in the resort, I see that they offer local seafood and Bahamian specialties. And I’m sure the food there is better; certainly it’s individually prepared. But as a guest of the resort, I would have to not only pay extra to eat in those restaurants, I’d likely have to pay for a babysitter or to put my kids in the AKA Club before I could dine there, because they aren’t appropriate for little kids. When I travel I like every meal to be good, not just the special and expensive ones. I’d love it if Atlantis scaled back on the offerings in the lower-end buffets and focused on freshness and quality of preparation. Making the food better across the spectrum of restaurants in the resort would mean that delicious fresh food wasn’t limited to the more luxurious venues. And also, one more point about the buffets and their appeal to families. When I’m at home I have to jump up five or six times a meal to get someone this or that. The last thing I want on vacation is to be fetching not only my own food, but food for my children. A true luxury while traveling is to have someone bring us food. And if I’m going to have to carry my food and my child’s food, can I at least have a tray? I know that the resort would probably like to avoid comparisons to a cafeteria, but during the entire time I was there, I would fetch Teddy his food, then have to go back and get my own because I had to carry his plate in my hands. By the time I would return to him, he would have finished or would want something else, and I would have to return to the buffet line…you get the idea. I didn’t eat much that was hot. It bothered me that a note in our guest room said that drinking water is a precious commodity in the Bahamas and that instead of using water from the tap, we should purchase bottled water. Now I’m not sure what Atlantis can do to help the water situation, but I’m someone who will boil water to drink before I drink bottled water because of the environmental degradation entailed by all those plastic bottles. And when I look around that huge and luxurious resort, it does make me wonder if we should all be there if there isn’t enough water for people to drink. 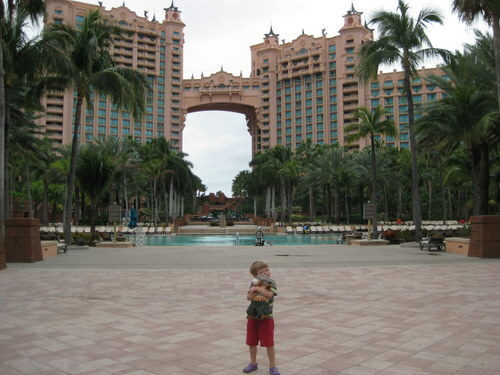 In general, I have mostly good things to say about my experience at Atlantis. Although the food was not entirely to my liking, I am willing to admit that I have very high standards born of parents who work in the restaurant industry. 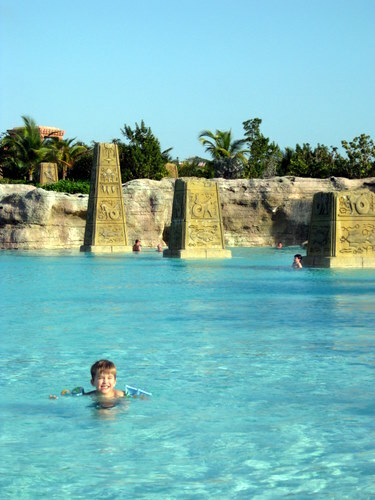 And my impression from everyone who works at Atlantis is that they are trying in very good faith to do everything they can to please their guests, which makes me think that some of the wrinkles I mention here are likely to be addressed in the future. This is definitely a place that wants to please, and for the most part, please it does. 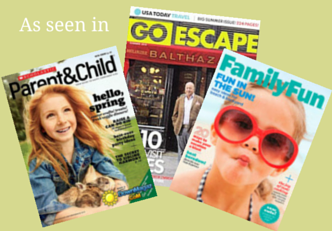 Racecars, pottery, and stuffed animals – oh my! Almost all of the expenses for my trip were paid for by LEGO, JetBlue, and the Atlantis Resort, Paradise Island, Bahamas. But I was under no obligation to write about my experience, was not compensated for this post, and the opinions it contains are (you guessed it) my own. Thank you for the extensive information on Atlantis. 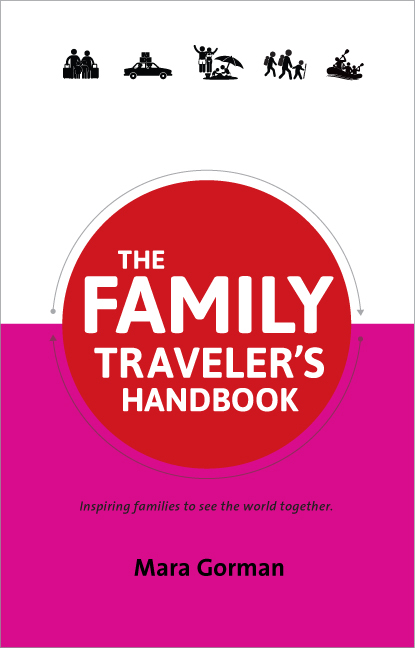 I have not had a chance to take the kids to a resort, so having this inside info is really helpful. I’m looking forward to your next post as well. 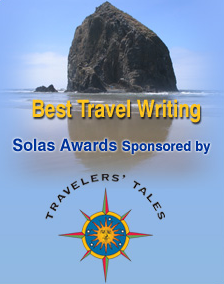 .-= Lora´s last blog ..Finding a home away from home. =-. Wow you didn’t miss a beat. I think the comment about the staff is right on. And you snapped some great pictures! .-= Nicole Feliciano´s last blog ..P&G Family Home Beauty & Grooming Salon and Spa =-. Thanks Lora and Nicole. I have to say the resort made it pretty easy to take some nice photos – it’s pretty photogenic. Thanks Mara! Really good information and perspective for our upcoming trip to Atlantis in December. 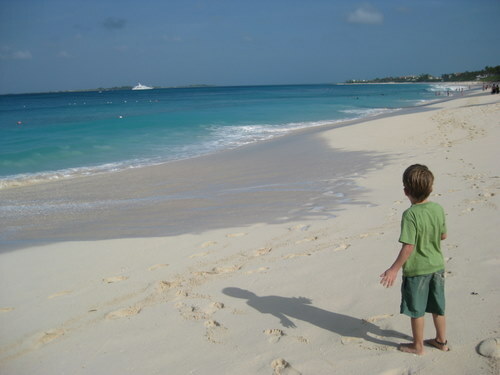 We will be there with kids aged 10-17, so will likely check out some different parts of the resort. I’m sending your reviews around to the extended family! Interesting experiences. 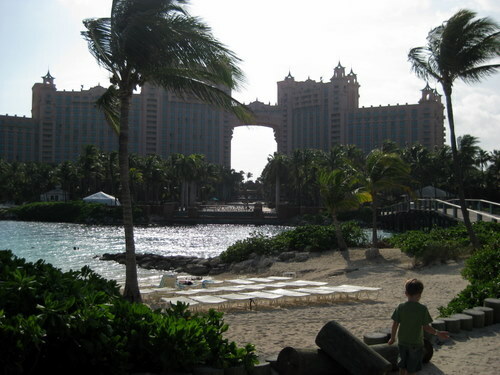 I am currently here with my fiance (no children) and we have had such a different experience with Atlantis staff. There have been a few gems and many more employees who have been intensely negative, even when unprovoked. The landscape is beautiful, nonetheless. They do have a large staff, so I’m not surprised to hear that there are some problems – but we were really lucky in our experience. Thanks for stopping by.